When traveling, we usually forget our diet we get for a short time. A fast-food outlet or any cafes where you stop might be your choice. However, maintain a healthy diet in your travel is always the best for your health during your trip. Here are some things to do to eat healthily when traveling. Bring your meal along in the process of movement if you don’t like eating unhealthy and expensive meals on the airplane or train. Bring protein- and nutrient-dense dry food that won&apos;t easily leak or get smashed in your bag. Examples include nuts, protein bars and firm fruit, like apples. Should drink much of fluids especially water. Milk and juices are also fine. But avoid soda and excessive alcoholic beverages if you don’t want to meet any issues related to health in your trip, especially in case of you get jet lag. 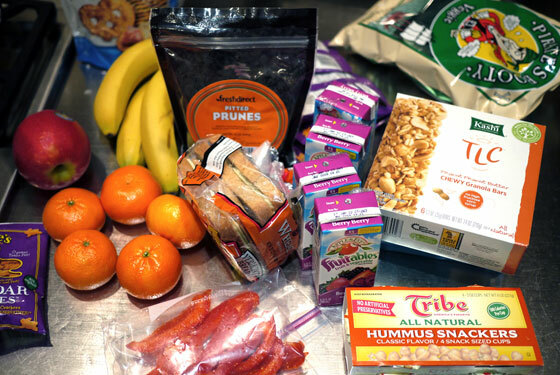 Stock your hotel room with bottled water, fresh fruit and healthy snacks like granola bars or fiber cookies. Doing so helps remove the temptation to raid the room&apos;s mini bar, and can be indispensable for staving off hunger between business meetings or tourist activities. Don’t let fast-food outlets be your choice because these kind of meal options are often high in fat and calories. Besides, if it is your choice you will miss chances to enjoy the local culture. Wherever you decide to eat, focus on meals that incorporate healthy components, like fresh vegetables and lean proteins. Keep in mind that breakfast is one of the important things to do everyday. When traveling breakfast become more and more necessary. It helps prime your system and prepares you for a full day of activities or business meetings. A high fiber and protein meal, such as whole grain toast with peanut butter are a great idea for your breakfast. To get a great safe trip, you must prepare all things from destinations, hotel, stuff, clothes to healthy food too. Keep following to get more our guides for great trips.